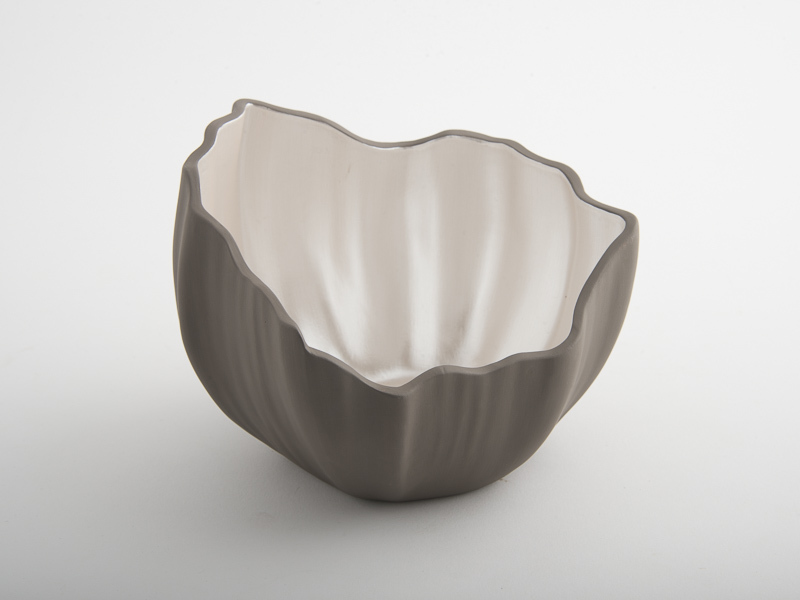 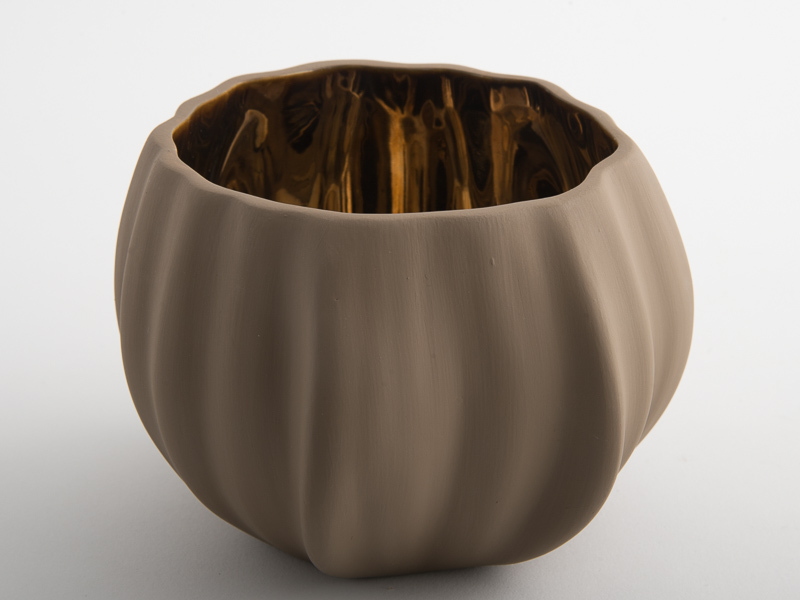 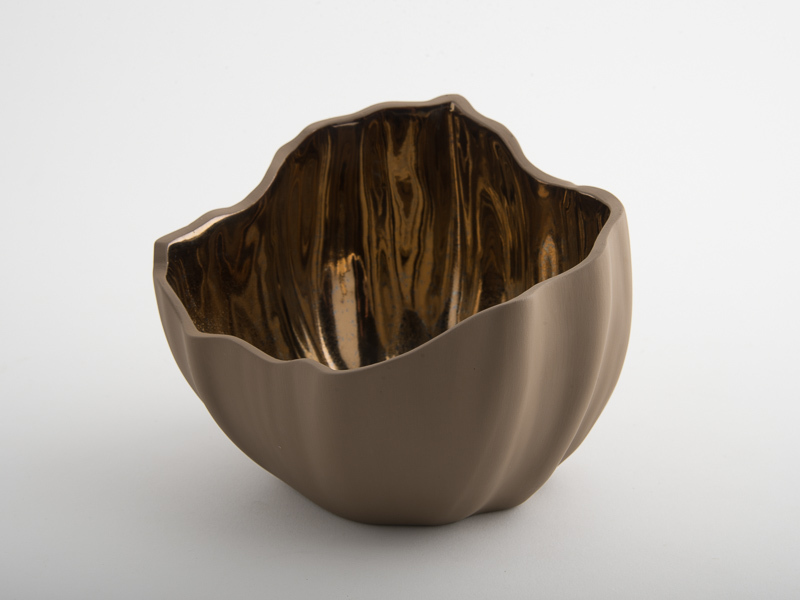 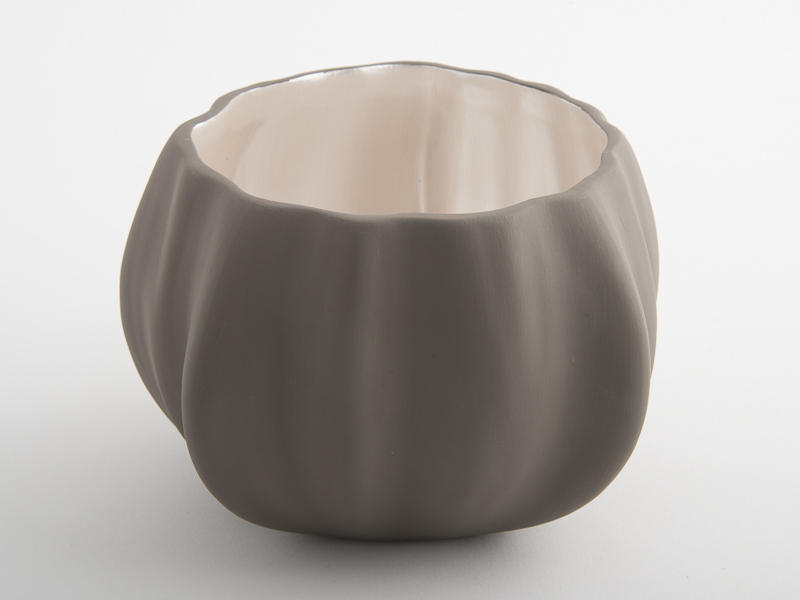 This sculpted Fitzgerald Stepped Bowl is classic art deco! 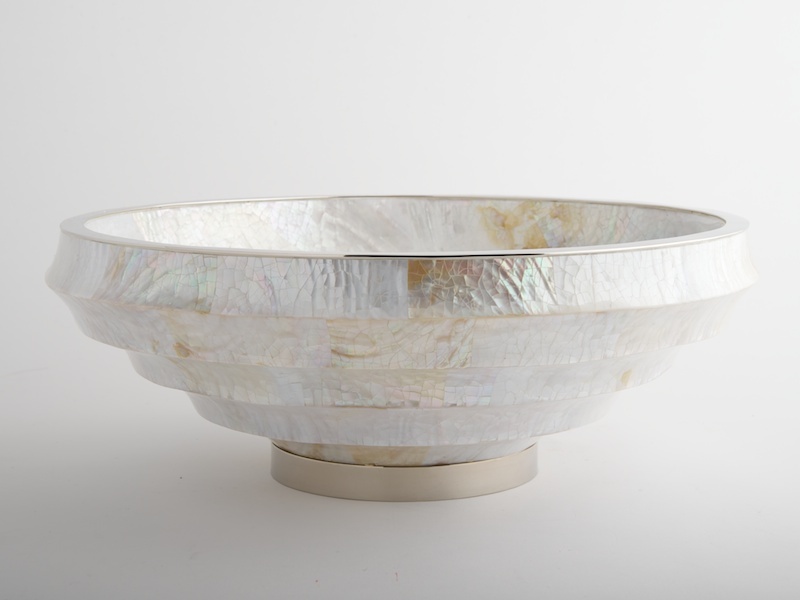 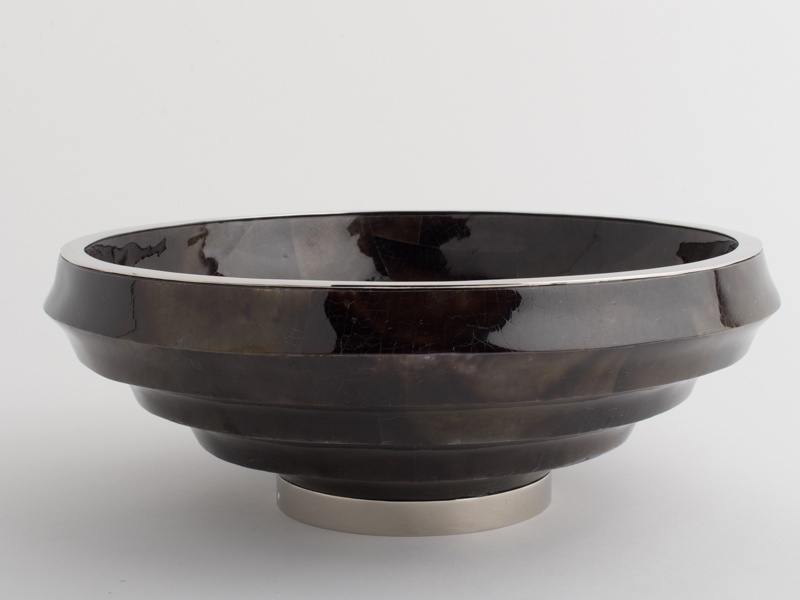 This beautiful bowl captures the elegance of the art deco period of the 1920s and 1930s. 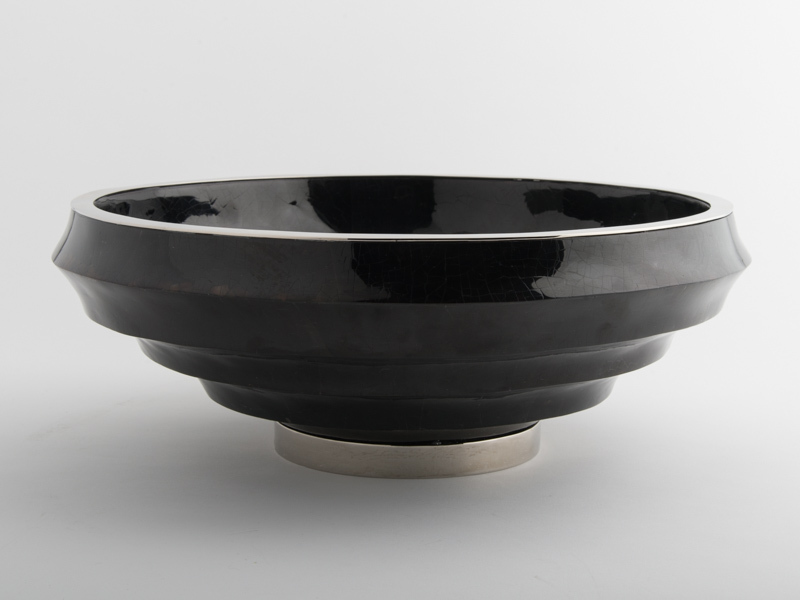 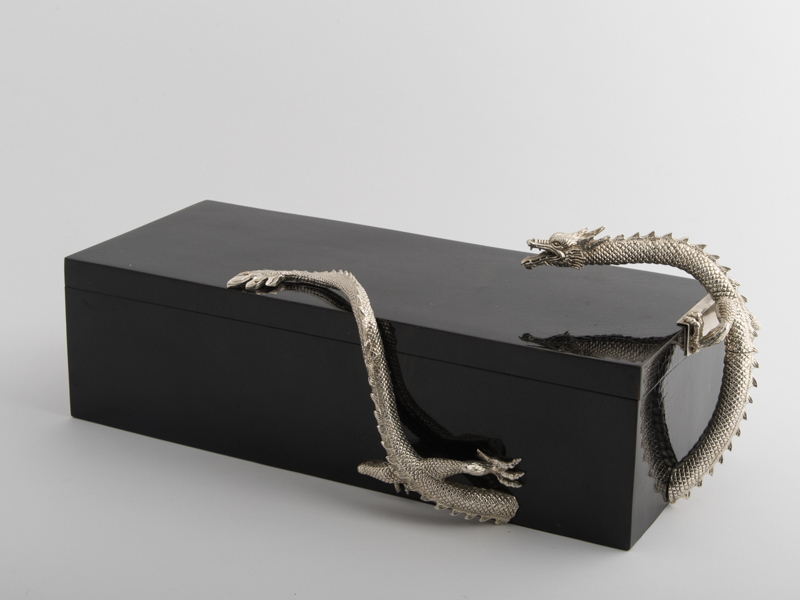 Hand made using black pen shell, elegantly topped with a flat silver rim, finished with a sturdy silver base.